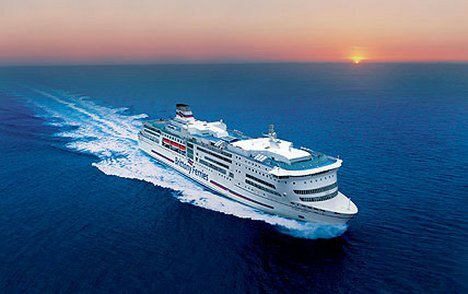 In a few hours time we’ll be heading for Portsmouth to take the 24 hour car ferry to Santander. During my time away PB will not operate as normal. I might pen the occasional piece but won’t be following the ongoing news narrative. I have no idea what the internet connectivity will be like at our holiday cottage over-looking the Minho river on the Spanish-Portugese border. There are some guest slots ready and members of the PB team will be producing occasional pieces – but mostly there will be open threads. Are we underestimating Oona’s chances? Can she really beat Ken AND then Boris? I’ve been taken to task by a couple of people within London Labour for my contention in several recent posts that Ken Livingstone is a near certainty in this summer’s race for the party nomination to take on Boris in the next London mayoral election. This will be voted on by individual party members and trade union levy payers in September’s postal ballot that will run alongside the Labour leader ship election for those living in the capital. 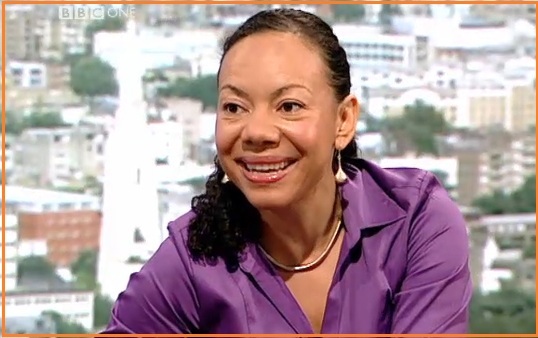 Oona King was an MP for a London East End seat until she was ousted by George Galloway in 2005. He campaign is being run by Jim Fitzpatrick, MP for Poplar and Limehouse, and a Livingstone foe. According to the Indy yesterday there is a real edge between the two campaigns. Those arguing for her say that Ken carries a lot of baggage from his two terms at City Hall which made him vulnerable to Boris. Certainly we all remember the seemingly endless campaign by the Evening Standard. There is an age issue as well. If Ken did win his job back he’d be 67 a few weeks later â€“ a sharp contrast with the ever youthful Boris. Her backers also think that Oona would have greater appeal in outer London where turnout levels are higher and where Ken got really punished last time. Oona now has eight London MPs on her side as well as the enthusiastic backing of the Kinnocks. Certainly I was quite impressed by her appearance on the Marr show yesterday. I wonder whether she might benefit from “gender balancing”. Those backing one of the men in the leadership contest might be more kindly disposed to supporting the woman for the mayoral role. Ladbrokes have her at 5/2 to get the nomination and 7/1 to win in 2012. Were we mugs to think there’d be a big VAT rebellion? 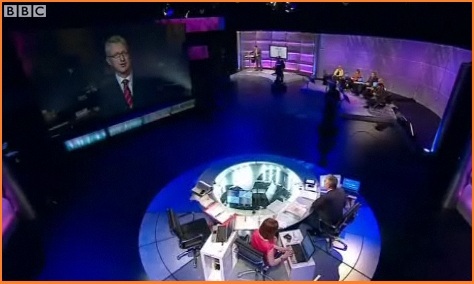 Can we now rule out a second 2010 election? In spite of all the pre-VAT vote speculation only two Lib Dems MPs voted with the “Noes” in last night’s commons division on the plan to increase the rate to 20%, outlined in last week’s budget and the measure went through with a majority of 76. Judging by some of the pre-event build-up this rebellion was much smaller than was being suggested and, no doubt, both Clegg and Cameron will breathe sighs of relief. Clearly there were more members of the LD parliamentary party who had mis-givings about the change but unlike Bob Russell and Mike Hancock, who did rebel, they were not prepared to vote against their government in the first crucial test. In his speech the LD Chief Secretary to the Treasury, Danny Alexander, described the increase as “Labour’s inheritance tax” and accused opposition MPs of denying the existence of the deficit. What I think is helping Clegg here is the way he was ultra-careful to ensure that the proper processes were followed by his party before the coalition was agreed to last month. These are still early days but even this small rebellion is a reminder that Clegg needs to be able to go on showing positive things that the LDs are getting out of the coalition. 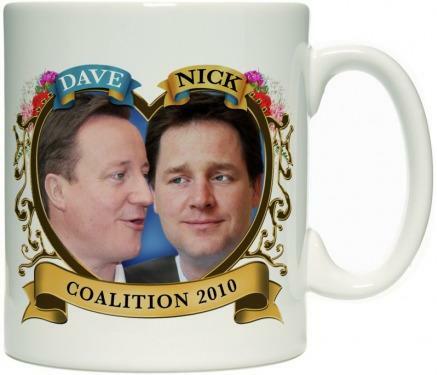 So no immediate coalition collapse and the chances of my bets on two elections in 2010 coming good look even slimmer. What the coalition does to the party at the next election is a different matter. There’s a new poll just out from ComRes which like all the phone pollsters finished up in the top half of the 2010 election polling accuracy league. Like ICM and YouGov at the weekend there’s a drop in Lib Dem support but it’s the Tories that get most of the benefit compared with their last survey. The yellows might take a bit of comfort from the fact that ComRes has them a bit higher than 16 percent – but this is still really bad. 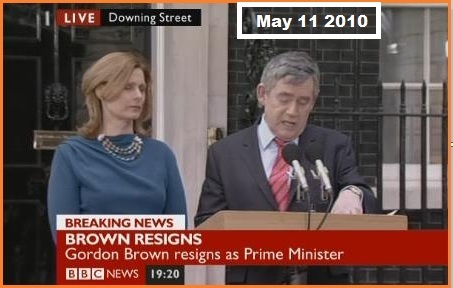 Shouldn’t Gordon now resign his seat? Is his continued absence becoming an issue? When Harriet Harman suggested to Cameron in the commons this afternoon that he ought to give his predecessor some credit for the work he had done with the G20 the PM had a sharp response. 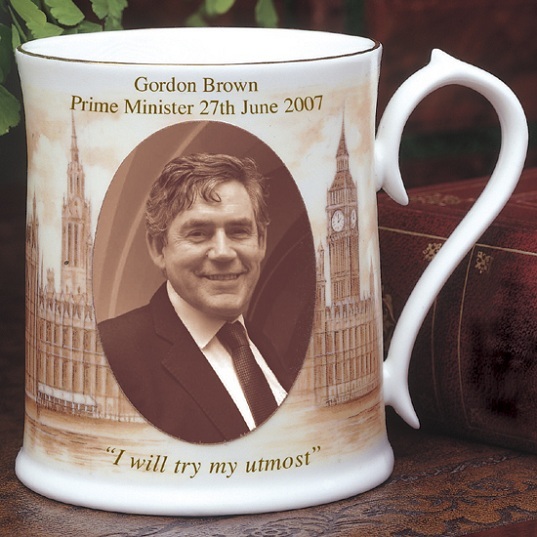 For the continued absence of the former Prime Minister is being increasingly noticed and becoming an issue. For his own sake, surely, he ought to make a move. Of course for someone who has had such a prominent role in both opposition and government it’s going to be mighty difficult becoming a back-bench MP again – but other former PMs have done just that. Either he wants to continue as an MP for his Fife seat or he should step aside. For the longer he delays this decision the worse it will become. How does Labour deal with a popular George Osborne? Are incapacity benefits the new battle-ground? While so many were, it seems, watching the football or discussing the aftermath, the chancellor was giving more details of his plan to attack the country’s massive welfare bill in order to find savings. This has made the front pages of only three of the papers but the scale of his plans is enormous. The idea is to protect as much departmental spending as possible by trying to find big cuts in the Â£190bn annual welfare benefits bill. The incapacity one, which provides Â£11bn a year of support to 2.6m people is the first to be singled out. Osborne is obviously feeling super confident following the polling reaction to the budget and the immense rise in his personal ratings. ICM found 53% saying he was doing a “good job” compared with 39% only a week ago. He is also maximising the fact that Labour is leaderless and he knows as well, as seen in the Express headline, that the notion of acting against “welfare cheats” seems to resonate. So how are the Labour Leadership Five going to approach the changes and the fact that Osborne seems to be getting so much public support? Does this present an opportunity for one or more of them to take on an issue that impacts on so many people? The reality is, of course, that if Osborne is to find his savings then many households, particularly at the bottom of the income scale, are going to be a lot worse off. And are the Lib Dems going to be happy with changes on this scale? They’ll certainly be pleased to move on from the VAT increases where they’ve taken such a battering. A few months ago I feared that post-general election politics was going to be boring. It ain’t. Exactly three years ago today…..